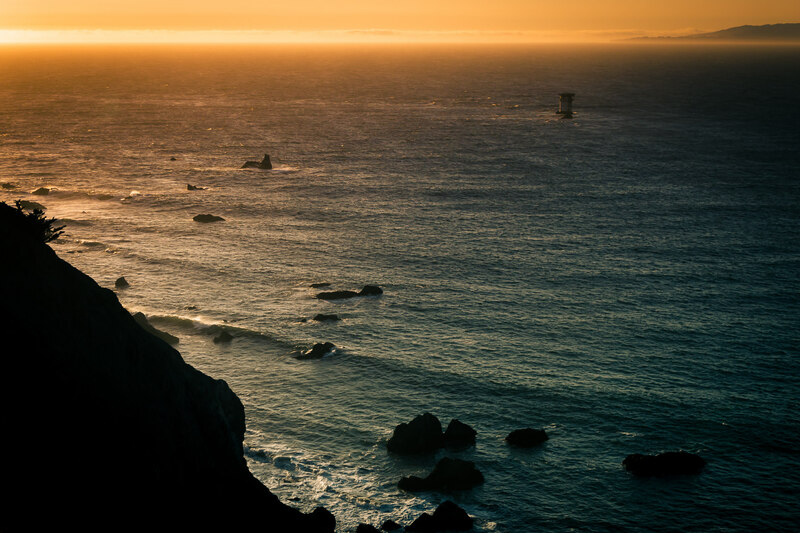 The sun sets on the Mile Rocks Light and the mouth of San Francisco Bay at Lands End, California. 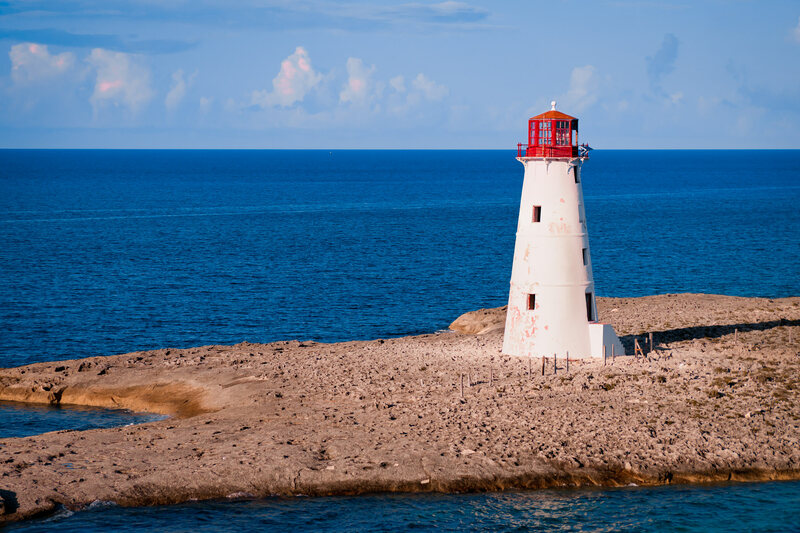 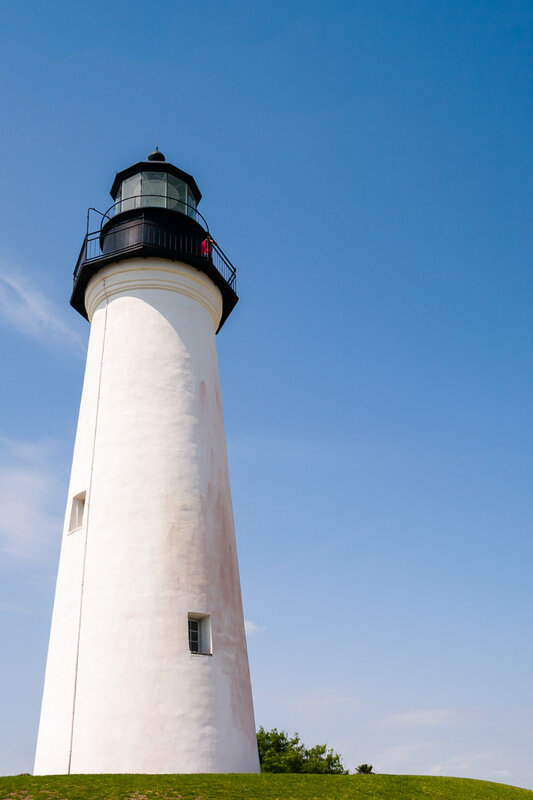 The Nassau Harbour Lighthouse sits abandoned on the western end of Colonial Beach at Nassau, Bahamas. 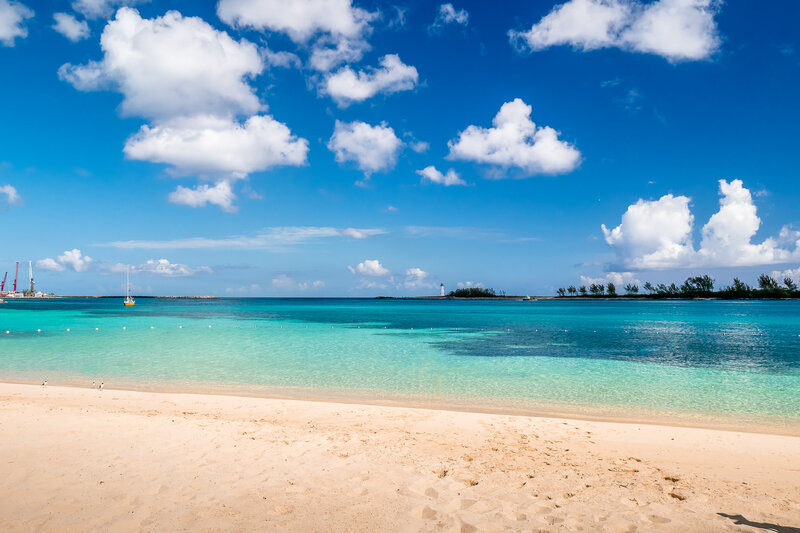 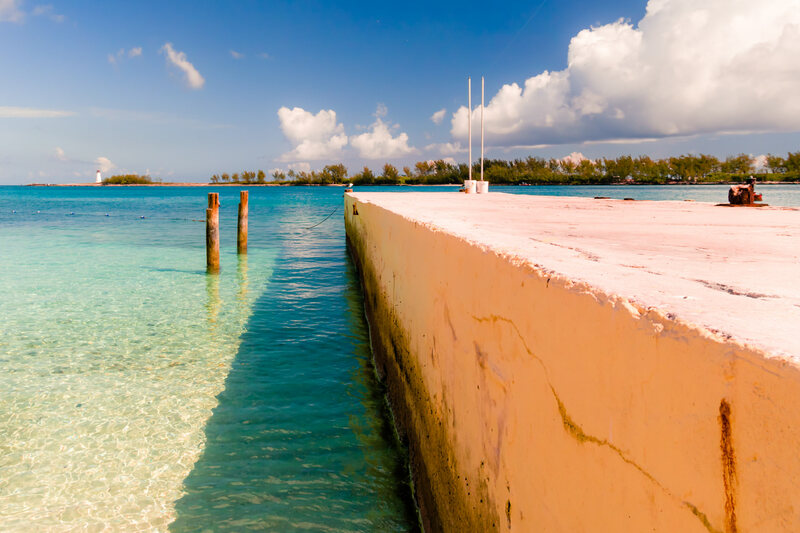 A barrier extends from the beach into the harbour at Nassau, Bahamas. 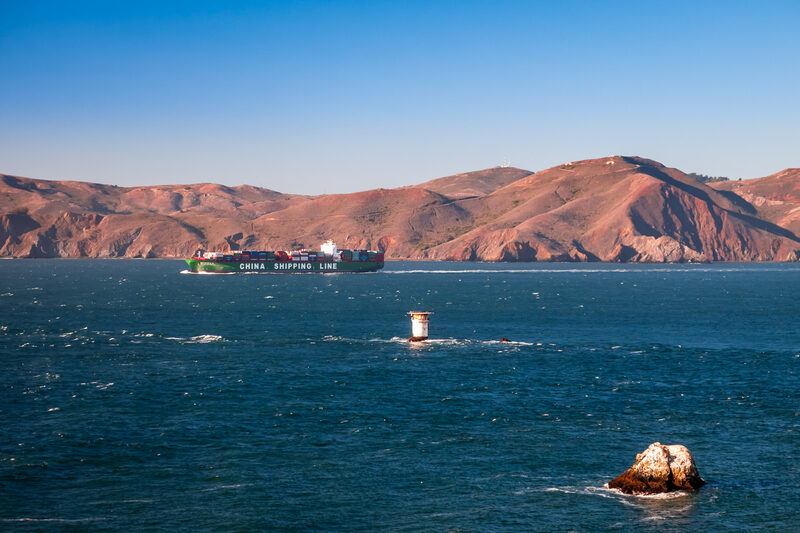 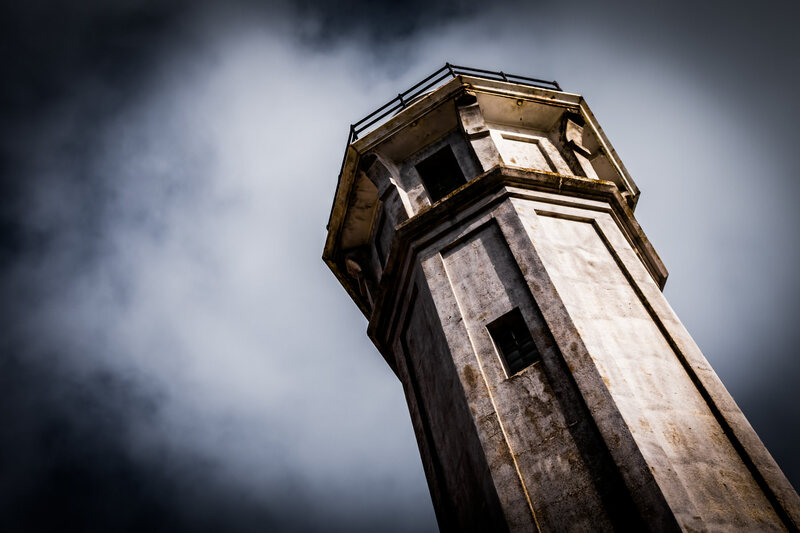 The decaying remains of the Alcatraz Island Light rises into the San Francisco Bay sky over long-closed Alcatraz Federal Penitentiary. 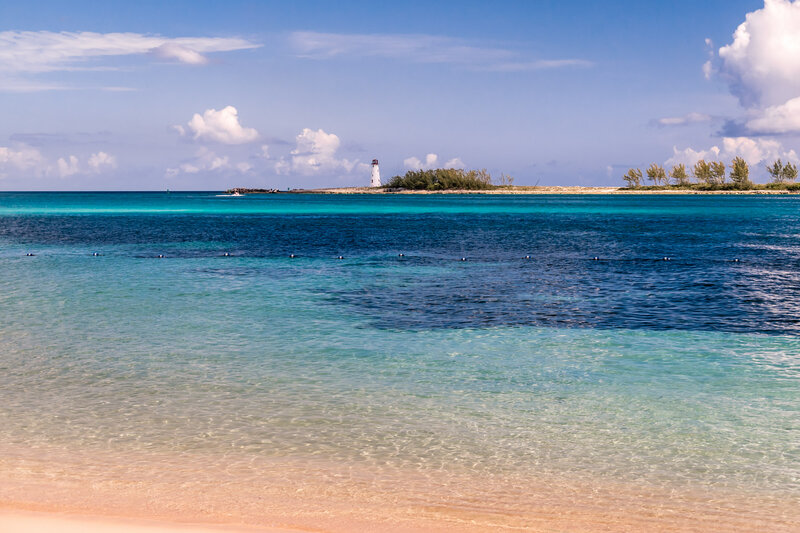 The Bahamas’ Nassau Harbour Lighthouse sits abandoned on the western end of Colonial Beach. 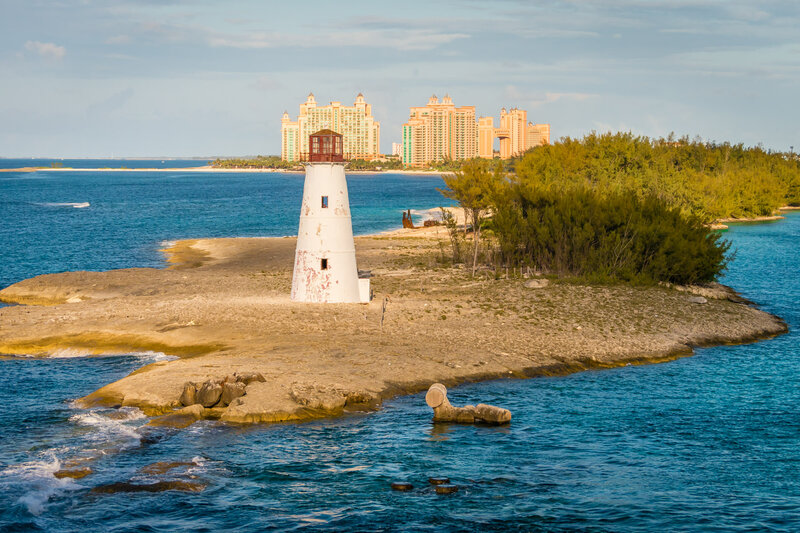 The Nassau Harbour Lighthouse sits abandoned on the western end of Colonial Beach as the Atlantis mega-resort rises in the background. 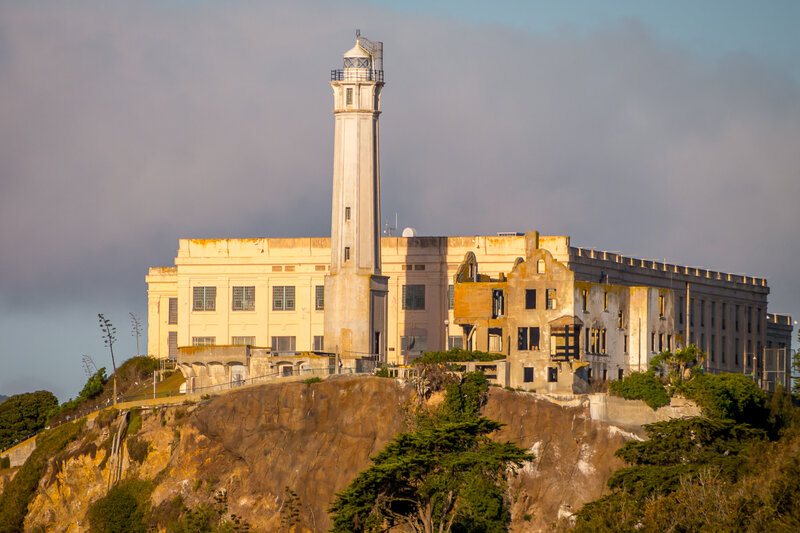 The Alcatraz Island Light catches the morning sun as it rises above the crumbling remains of the long-closed Alcatraz Federal Penitentiary, San Francisco.